We packed up the cars, the dog, the bunny and at least 5 gallons of beach sand in every nook and cranny of my belongings and took the long way home along the Blue Ridge Parkway. 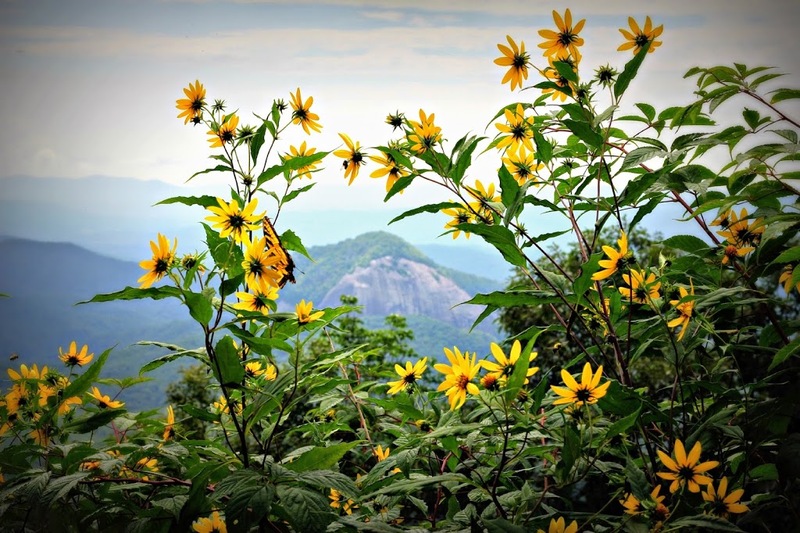 I’ve seen these mountains in Spring, but in late Summer they show their true glory framed by blooming Joe Pye and Black-Eyed Susan. It was already feeling like Fall last week at 6,000 feet above sea level, even if there were still a couple Least Tern chicks waiting for the sky back on my NJ beaches. I’d thought I’d be despondent at leaving the beach and its birds, but it was time; the work I was there to do was done. My last week on the beach had been filled with gray days and a cool northeast wind. I felt the season beginning to shift gears, felt the summer fading into the wind. The birds, for the most part, had already moved on. The idea that I’d have time to blog about any of the work that I was doing was ridiculous! I hope to revisit some of the highlights (and the failures) here in the weeks to come, and to process all that I saw and learned. I miss the beach already, of course; I miss staring out at the sea for hours, miss the little dramas that played themselves out among the beach-nesting birds that I was privileged to know, miss being a part of something important.